“Mr. Zimmerman never contacted anyone at GunBroker.com prior to or after the listing was created and no one at GunBroker.com has any relationship with Zimmerman. Our site rules state that we reserve the right to reject listings at our sole discretion, and have done so with the Zimmerman listing,” the statement said. Zimmerman, the neighborhood watchman who fatally shot the unarmed 17-year-old in a gated community in Sanford, Fla., was acquitted of second-degree murder, as well as manslaughter, in 2013. The case became nationally known, sparked a number of rallies and protests, and was one of the building blocks for the “Black Lives Matter” movement. 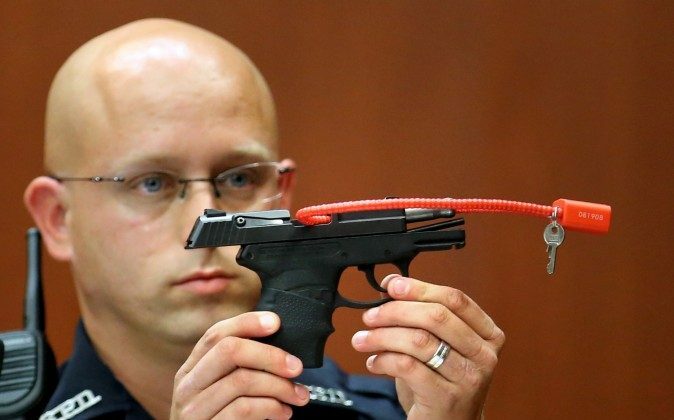 At around 9:30 a.m. on May 12, word of Zimmerman’s Kel-Tec PF-9 9mm pistol listing had gone viral. Nearly every major social media source had reported on the auction and its details—including Zimmerman’s take on it. Before it was taken down, the auction had been viewed over 250,000 times—the bidding price was set to begin at $5,000, but was taken down shortly before its scheduled start time.